"Get On Up" says it loud: He's Brown and he's proud! “Get On Up” says it loud: He’s Brown and he’s proud! 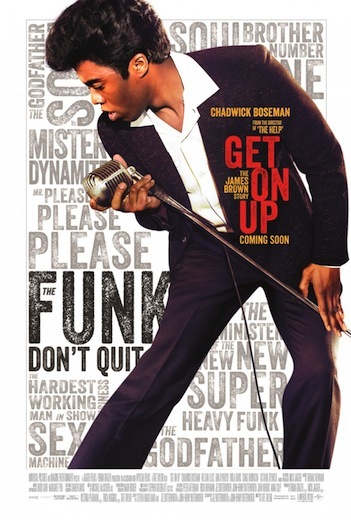 Tate Taylor’s well-directed Get On Up is the latest movie about tortured artiste who acts in self-destructive ways, a 138-minute biopic about “The Godfather of Soul,” James Brown. Co-screenwriters Jez and John-Henry Butterworth provide details from James Brown’s (the stellar Chadwick Boseman) childhood that provide insight into the singer’s violent behavior, as well as into his talent and success. After a flash-forward to a later criminal episode, the film progresses more or less chronologically, but with frequent flashbacks to Brown’s turbulent childhood and career trajectory. 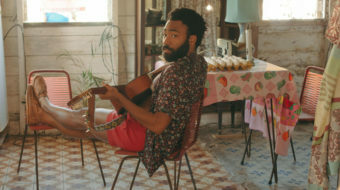 The film also creatively includes scenes where Brown speaks in a pseudo-doc, “you-are-there” manner, taking us into his thoughts while he is performing. As a boy growing up near Augusta, Georgia, in the 1930s, Brown witnessed domestic abuse, which caused his mother, Susie Brown (the great Viola Davis), to abandon him. He’s then raised in a brothel by its madam, Aunt Honey (Octavia Spencer). All the fame and fortune on Earth can’t compensate for a troubled childhood-and it doesn’t. The singer who created 1965’s hit I Feel Good didn’t always feel quite so good. Brown’s talent and drive propelled him to the top of the charts, yet he still beat his wife DeeDee (Jill Scott), and mistreated his band members. The driving beat of Brown’s funkadelic music and his frenetic stagecraft often gave form to his inner demons. Brown was, well, funky, and Boseman captured this, delivering an Oscar-worthy, psychologically nuanced performance. 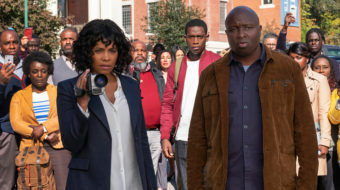 Boseman uncannily looks and moves like Brown, although according to the “New York Times,” Brown’s own voice has been remixed into the score. Astute observers can place Brown’s childhood in segregated Georgia and his subsequent experiences in the Jim Crow South and white majority America into a racial/sociological context. But this isn’t hammered home in Get On Up; it’s subtext to be read between the lines. Race is directly dealt with in the sequence where after Dr. King’s shooting, with that “the-show-must-go-on” show-biz ethos, Brown goes ahead with a scheduled concert in Boston. I believe Boston was one of America’s few urban centers that didn’t erupt in riots after MLK’s killing. Although he himself could be violent, much to his credit, Brown rose to the occasion and prevented violence. Brown went on to record “I’m Black and I’m Proud” in a studio with a chorus of African American children, becoming a cultural avatar of the Black Pride and Consciousness movement. Brown eschewed conking his hair and started sporting an Afro-although this might have been a marketing decision in those changing times, more than a nationalist statement. One of Brown’s most affectionate onscreen relationships is with his agent Ben Bart (well played by Dan Aykroyd). 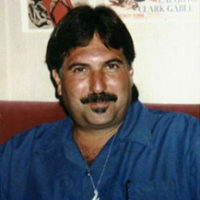 The two develop a true friendship, as well as a working business relationship. Brown possessed intuitive business smarts: Getting the green seemed to be his version of Black Power. Although Brown was sometimes guilty of violent acts, he was also aware that Black performers had to “represent.” Violence allegedly committed by noteworthy Blacks reinforces racist perceptions prejudiced whites and other non-Blacks may already hold. In any case, being an ultra-talented, rich (if owing back taxes), famous VIP is still no excuse. Other fine performances are by Nelsan Ellis, as Brown’s longtime band mate and friend Bobby Byrd. Brandon Smith has an inspired cameo as Little Richard, whose encounter with Brown is quite interesting. The Rolling Stones’ brief intersection with Brown is rather humorous, especially considering the fact that Mick Jagger – whose fancy footwork was clearly inspired by Brown – is one of the movie’s producers.